Launched in July 2013, Chromecast has become one of the most popular streaming devices in the world. Now, on the occasion of its fifth birthday, the first Chromecast engineer, Majd Bakar, has narrated the story behind the tiny, inexpensive little device that has become a massive success story for Google. According to Bakar, it was his wife, Carla, who was the inspiration behind Chromecast. Recounting events from 2008, Bakar said that Carla’s struggles with getting a streaming service to play nice with the TV inspired him to “build an interface where everything happens on the phone, and only the video plays on the large screen”. “And let’s make the hardware device that enables this experience as small and as hidden as possible”, he said. Having joined Google in 2011 to “create products that would change how people used their TVs”, Bakar says that he pitched the Chromecast idea almost immediately. According to him, “I pitched this idea and everyone got excited about it. 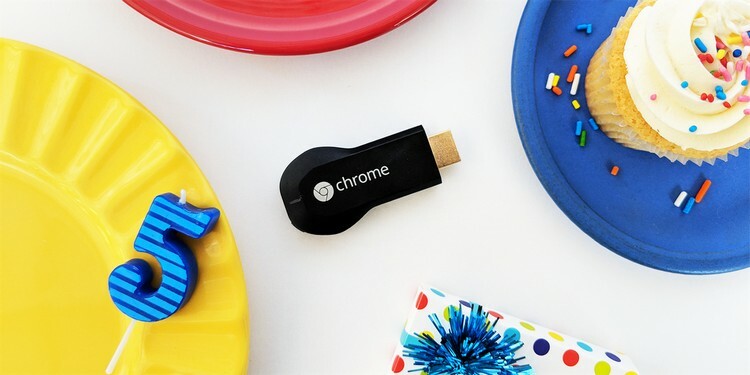 It was 2012 when we really got started, and we launched Chromecast in July 2013”. Bakar says he first took home a Chromecast prototype in late 2012, and watched YouTube videos for three and a half hours straight. The simplicity and ease-of-use pleased his wife no end, and Bakar new straight away that he has a winner on his hands. “To me, the ease of use is what I like”, says Bakar. According to him, “We had an advertisement that said it was so easy for everyone to use. The first time I saw that ad, I had tears in my eyes”. On the occasion of Chromecast’s fifth birthday, Bakar made it a point to thank all his team members for the massive success of the device, and said that he’s ‘very proud’ of the team. “I feel lucky to be able to work on something like this—it’s very humbling to pitch something and see it from the beginning”. Having started with a small team of just three members, the hardware division at Google now has “hundreds of people” working on Chromecast and other smart home products. “That is a huge effort. We, as a team, made an impact in this space”, said Bakar.